*Darkened Demigod: Weapon of War (Deal, Not Free) by Shawn H. Phillips. Price is: $2.99. Genres are: Science Fiction Deal, Sponsor, Post Apocalyptic Earth, Demi Gods and Humans. Rated: 4.3 stars on 12 Reviews. Get it in Paperback here, please. *Void Contract (Gigaparsec Book 1) by Scott Rhine. Price: Free. Genre: Military Science Fiction Deal, Sponsor, Space Exploration, Galactic Empire. Rated: 4.4 stars on 20 Reviews. 263 pages. ASIN: B00VJEPHPE. *Quest to the Unknown: The Jessie Golden 21st Century Earth Series (Deal, Not Free) by Annelies George. Price: $1.99. Genre: Science Fiction Deal, Sponsor, Thrilling and exciting with a typical Hollywood style Sci-fi flavor. Rated: 4.8 stars on 8 Reviews. 300 pages. ASIN: B076VSNDD9. See paperback version here at $14.95, please. *(Free for Kindle Unlimited) The Forest Beyond the Earth (Deal, Not Free) by Matthew S. Cox. Price: $4.99. Genre: Post Apocalyptic Science Fiction for All Ages Deal, Sponsor, The Tree Walkers, Monsters that Capture Humans, The Endless Forest. Rated: 4.9 stars on 18 Reviews. 294 pages. ASIN: B079N6774M. *(Free for Kindle Unlimited) Voice of the Elders (Deal, Not Free) by Greg Ripley. Price: $2.99. Genre: Science Fiction Deal, Sponsor, CliFi, Daoist. Rated: 5 stars on 2 Reviews. 276 pages. ASIN: B079YZ2LZH. *Darker Flash (Deal, Not Free) by Cain Rice. Price: $0.99. Genre: Science Fiction Deal, Sponsor, Mysteries. Rated: 4 stars on 1 Reviews. 64 pages. ASIN: B07BKSBMHT. Kindred Spirits (Repeat) by Ashanti Luke. Price: Free. Genre: Science Fiction, Adventure. Rated: 4.1 stars on 19 Reviews. 328 pages. ASIN: B00439GKB2. *Waiting to Breathe by Chrystal Grcevich. Price: Free. Genre: Dystopian Science Fiction, Genetic Engineering. Rated: 5 stars on 5 Reviews. 226 pages. ASIN: B078T1CX2L. *Origin: The Nameless Celestial (Deal, Not Free) by Aaron R. Allen. Price: $0.99. Genre: African American Non Fiction Deal, Sponsor, Personal Growth, Motivation, Family. Rated: 4.9 stars on 21 Reviews. 266 pages. ASIN: B00XTSU56O. *The Rise of Esperanto: Some have the gift of prophecy, but very few believe them (Deal, Not Free) by Eliade Moldovan. Price: $3.49. 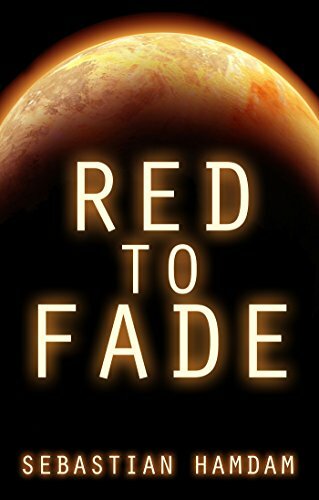 Genre: Science Fiction Deal, Sponsor, Well Crafted and Original Plot. Rated: 4.5 stars on 5 Reviews. 204 pages. ASIN: B074TZ373F. *Nervous (Deal, Not Free) by Meg Kimball. Price: $0.99. Genre: Horror Deal, Sponsor, Darkness of her Childhood, Horror Suspense. Rated: 5 stars on 4 Reviews. 214 pages. ASIN: B079VF4CFX. *Cutting Hunger One Coupon At A Time by Tina Klein. Price: Free. Genre: Self Help, Sponsor, Motivation, From a Struggling Single Mother to Super Coupon Woman. Rated: 5 stars on 7 Reviews. 162 pages. ASIN: B01N7A3ZE5. *NEWEARTH: Justine Awakens by A. K. Frailey. Price: Free. Genre: Science Fiction, Sponsor, A Human Android Hybrid, A Mission, Will her Humanity compromise her Mission. Rated: 5 stars on 1 Reviews. 302 pages. ASIN: B07BJMCJRB. The Firefly Effect: Tome 1 of the Sixth Attraction Series by Alain Villeneuve. Price: Free. Genre: Hard Science Fiction, Time Travel. Rated: 4 stars on 10 Reviews. 248 pages. ASIN: B01IIFDY4W. The Terraist Letters (Repeat) by Ethan Indigo Smith. Price: Free. Genre: Science Fiction, Metaphysical, Dystopian. Rated: 4 stars on 11 Reviews. 222 pages. ASIN: B00852BHKC.